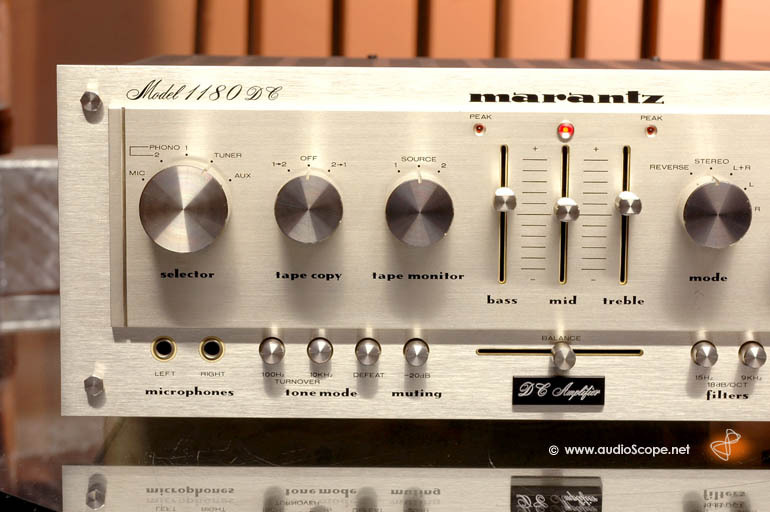 Marantz 1180 DC Amplifier for sale. 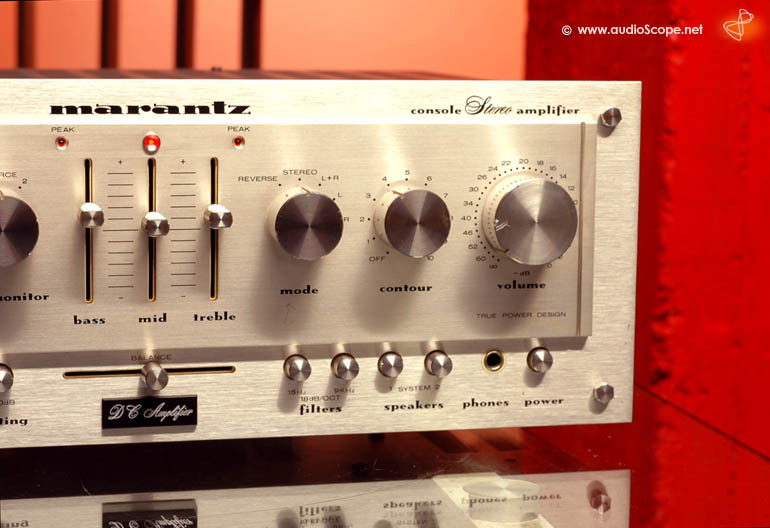 Here one of Marantz´best looking and sounding integrated amps. The Model 1180 DC. 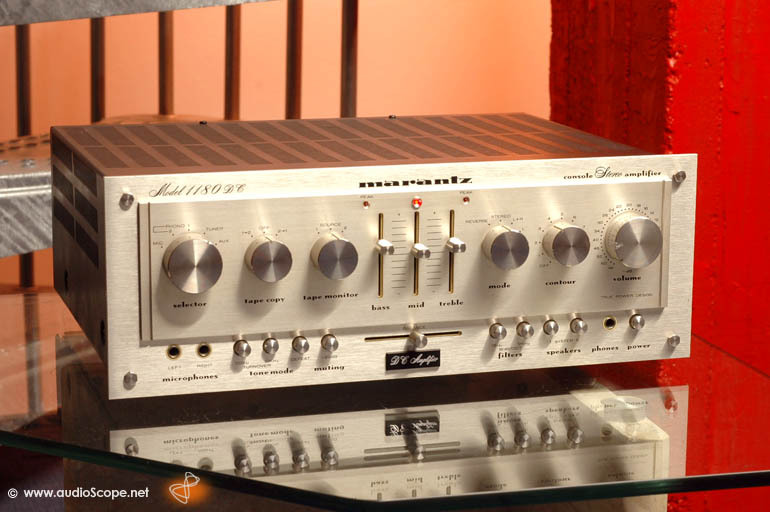 This unit is a Model 3250 Pre Amp plus a Marantz Model 170 DC Power Amplifier in one piece... with a little more power. 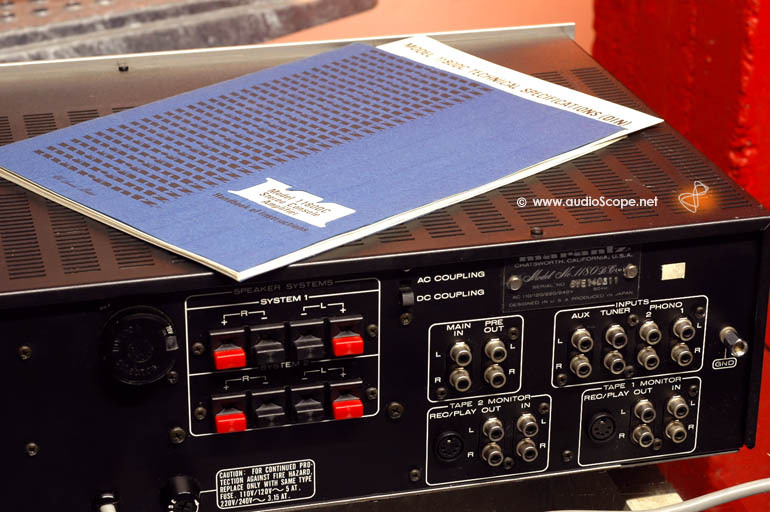 This amp features 2 phono inputs, aux, tuner and 2 tape monitor loops. You can separate the pre amp section from the power amp aswell. 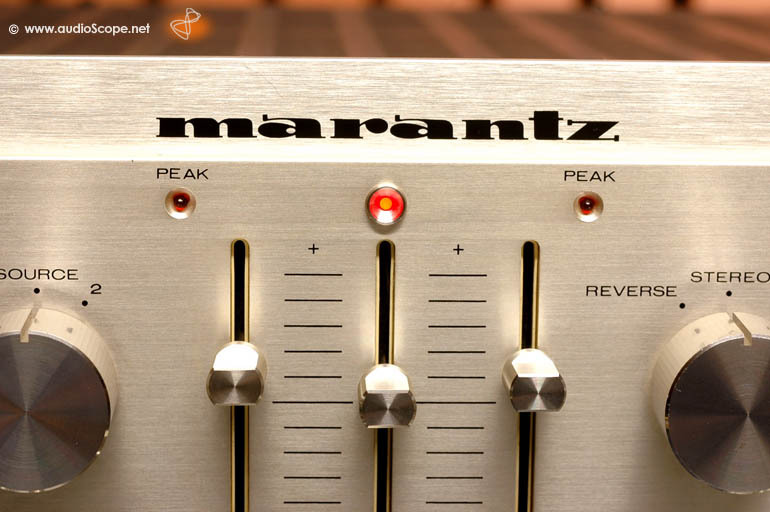 The midrage tone equalization is typical for Marantz Amps and allows increasing the presence of voices. 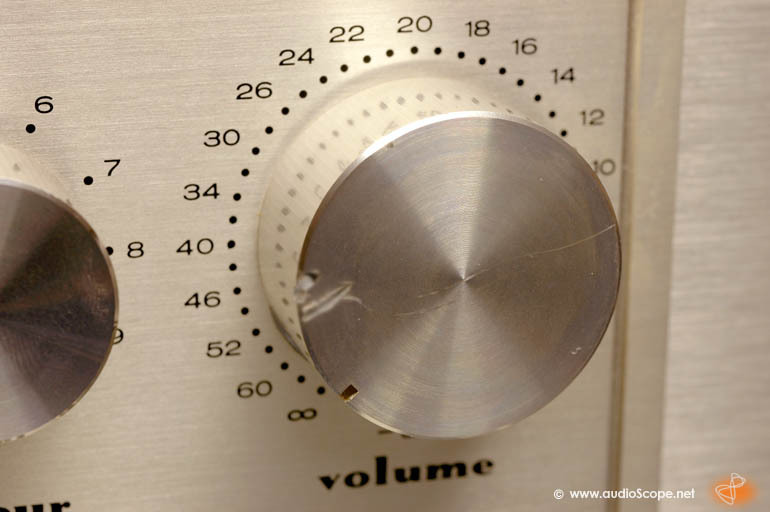 The optical condition of this 1180 DC is very good exept the volume knob. This has a dent as you can see on the picture. This does not affect the functionality. If someone still has a matching knob to replace, even better. This unit will be delivered with its mint owners manual and spec sheet. We got it from the first owner.